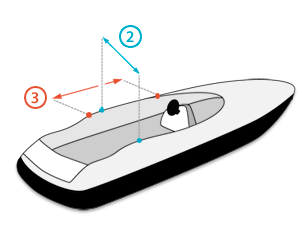 It is necessary to know the mid point of the area you want to cover (see illustration) (1). 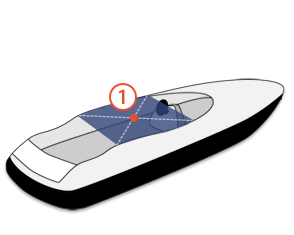 Then measure the width (2) and length (3) of the area bearing in mind where you want the anchor and fitting points. It is important also to know the height that you want your awning or cover. 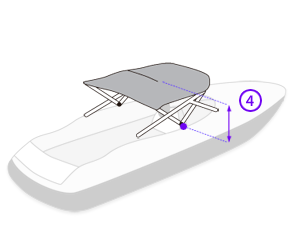 To do this you should measure from the base were the Bimini goes until the hight you want to cover. (4). Carvid Marine Biminis offers several fitting solution for different types of surfaces and angles.